In a clear, well-reasoned decision, the DC Court of Appeals has held that a prosecutor’s ethical responsibility to disclose exculpatory evidence is significantly broader than the Brady standard and does not contain a “materiality” requirement. While the decision is binding only on attorneys who practice in DC it will cover many federal prosecutors. The case came to the court based on a report and recommendation of the Board on Professional Responsibility that had recommended a 30-day suspension for a federal prosecutor who violated Rule 3.8(a) of the DC Rules of Professional Conduct. The charges arose in a felony assault case involving a drive-by shooting where the defendant filed an alibi notice. The issue was the reliability of the identification; significantly, what the prosecutor failed to disclose was that the victim had said after the shooting, at the hospital, was that he did not know who shot him. The first trial ended in a mistrial when the jury could not agree. Although after the first trial a subsequently assigned prosecutor revealed the statement, the second trial ended in a conviction. Among his various arguments, Kline argued that his ethical obligation was co-extensive with his Brady obligation. The court soundly rejected this argument, and its explanation for why post-conviction materiality cannot be used to judge ethical conduct is notably clear and to the point. The court also surveyed the various conflicting decisions nationwide about whether the two standards are co-extensive. Meanwhile, because of a confusing sentence in the commentary to the DC rule, the court determined not to sanction the prosecutor. In Re Andrew J. Kline, No. 13-BG-851 (D.C. Apr. 9, 2015). Alec, DC: Appeals Court Holds Ethical Duty to Disclose is Broader than Brady Standard, The Open File (May 5, 2015). As attention is drawn to the social impact of excessive sentences, supermax detention, and overcriminalization, it makes sense to look at the same time at the social impact of collateral consequences. What purposes do collateral consequences actually serve? Not allowing someone who has served a sentence or fulfilled a punishment for criminal conduct to vote, drive, get benefits, get work without revealing a conviction, work in human services or other select industries, live in an affordable area, and the like not only holds the convict back from successful reintegration, but also prevents communities from moving on. 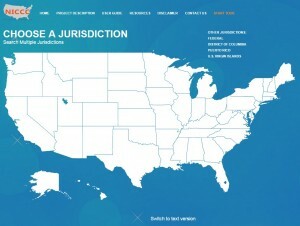 The ABA has created and launched the NICCC database (National Inventory of Collateral Consequences of Convictions) that collects the law on collateral consequences in the Federal system and each of the fifty states. For review of the database, click here. Frank Thurston Green, Certificate Confusion Puts Focus on Convictions’ Consequences, City Limits.org (Feb. 17 2015) (certificate of relief program). Rachel Black & Aleta Sprague, Give the Unemployed Second Chance, CNN (Feb. 4, 2015). K. Reiter, J. Selbin & E. Hersh, Op-Ed, Should a Shoplifting Conviction be an Indelible Scarlet Letter? Not in California, LA Times (Dec. 28 2014). Gary Fields & John R. Emshwiller, Fighting to Forget: Long After Arrests, Criminal Records Live On, Wall Street Journal (Dec 25, 2014). Monica Haymond, Should a Criminal Record Come with Collateral Consequences?, NPR (Dec. 6, 2014). Editorial Board, In Search of Second Chances, The New York Times (May 31, 2014). Sarah B. Berson, Beyond the Sentence – Understanding Collateral Consequences, National Institute of Justice – Office of Justice Programs (May 2013). Owen Bowcott, New Law Means Job Applicants Cannot Be Forced to Reveal Spent Convictions, The Guardian UK (Mar. 10, 2015). National HIRE Network Newsletter, Relief from the Collateral Consequences of Convictions (Nov. 2005 – May 2006). Lisa Hale Rose, Community College Students with Criminal Justice Histories and Human Services Education: Glass Ceiling, Brick Wall or a Pathway to Success, 39 Community C. J. Res. & Prac. 584 (2015) (suggesting that students with criminal records at community colleges intending to pursue human services education may face obstructed pathways). Heather R. Hlavka, Darren Wheelock & Jennifer E. Cossyleon, Narratives of Commitment: Looking for Work with a Criminal Record, The Soc. Q. (Jan. 23, 2015) (unemployment being the most cited barrier to reentry). Amy P. Meek, Street Vendors, Taxicabs, and Exclusion Zones: The Impact of Collateral Consequences of Criminal Convictions at the Local Level, 75 Ohio St. L.J. 1 (2014) (available at HeinOnline). Erin L. Bauer et al., Evaluation of the New York City Justice Corps: Final Outcome Report, (July 2014) (evaluation report of the community based programs aimed to help juveniles to reenter).